People who work in the legal profession understand very well how important documents are, and how important the linguistic factors – even certain wordings – can make a big difference in the way a certain document is perceived. When it comes to the legal profession, the way documents (and transcripts) are prepared and presented can make a very big difference. It’s for this reason that you only want the best. In court, nothing less will do. There is no doubt that transcription services are very useful. However, exactly because these documents are so important, it’s crucial that any transcriptions are done in the right way. Here’s how best to choose transcription services for court-ready documents. The value of transcription, especially accurate transcription from a reputable UK transcription company, is easily understood; it ensures that you have on paper what is otherwise only established on tape or other audio/video equipment. It allows you to dissect and present the evidence in black and white. The advantages of transcription services are equally clear: a lot of valuable time and money can be saved, which could otherwise be used for more pressing tasks – such as planning strategy, research, and compiling other forms of documentation. Confidentiality – Because you are in the legal arena, confidentiality is not just a promise given by a possible provider; it’s a downright requirement. Question your potential partners to see how they deal with this issue, whether they have had any problems in the past, and how they might have dealt with them. Accuracy – One word can make a big difference; actually, the spelling of one particular word can make a very big difference. You want to make sure their transcription services deliver fully accurate transcriptions. Customisation – They should be willing to adjust and deliver what you need in the format that you need it. Costs – This may seem obvious, but you want an economical solution for a quick delivery. Outsourcing your transcription needs is an excellent way of saving time and money, getting rid of chores that tie up time better spent on more important goals, and ensuring that everyone is on the right page. However, it’s crucial that the job is done right, and for this you need the right partner. Do your research and make sure you have questioned your prospective partner in detail – too much depends on it. This entry was posted in Legal transcription on 14 November 2017 by admin. Digital dictation is the natural progression in technological terms from analogue tape based recorders to digital chip based recorders. When UKTyping conceived the idea of providing offshore outsourced transcription services in 1992/3 one of our greatest challenges was that of transferring large voice files across the world at high speed and at low cost. Sun Microsystems produced one of the first digital Dictaphones which we believe was available at a cost of several thousand pounds sterling. Very soon lower cost products came to the market. These products enabled recordings to be created in a digital form such that digital recordings could be handled much more flexibly. Digital dictation has revolutionised the way in which the professionals dictate and arrange for their dictations to be transcribed. Digital dictation has enabled seamless flow of work between professional and secretary or transcription centre and enables businesses to fully utilise their resources and minimise overhead when producing documentation. in another country with little or no depletion in sound quality. We supply Olympus Dictaphones and are very satisfied with their functionality. We can transcribe for you no matter which make of Dictaphone you choose to use. Alternatively, you can dispense with the need for a digital Dictaphone if you choose to use a Smart Phone. These are mobile phones which can record and transmit dictation as well as providing a host of other useful functions. In addition you may wish to use dictation flow management software for internal use. This is not necessary for sending typing and transcription to UKTyping. We provide a free online work flow management facility to all our subscribers. This entry was posted in Legal transcription on 5 February 2013 by admin. Outsourcing services to offshore centres with skilled workforces (principally India and the Far East, but also South Africa and other countries) is not new. Business process outsourcing (BPO) of services such as data entry, typing, transcription, database management, typesetting and other low level functions has been common for years. 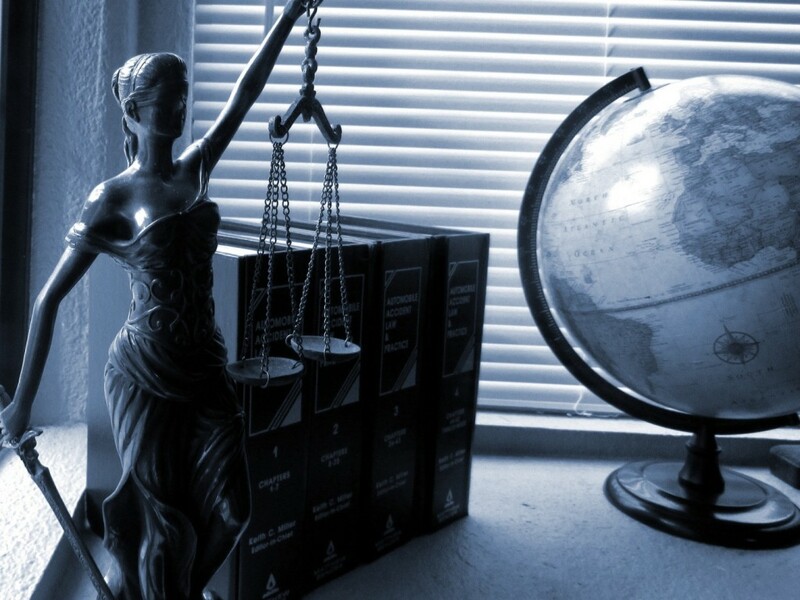 More recently, however, pressure on law firms to reduce costs has led to the outsourcing of paralegal tasks and the emergence of what is now known as legal process outsourcing (LPO) as accepted practice. The range of legal processes that have been effectively outsourced by large law firms in the US and UK in recent years include legal transcription, database creation and maintenance, scanning and indexing evidence, document coding, document review and annotation, document processing and management, creation of forms and precedents, document drafting, legal research and patent drafting. The majority of outsourced work is in the areas of complex litigation, mergers and acquisitions, insolvency, patents and compliance. India has a huge pool of graduates, schooled in English; further the Indian legal system is based on the English system. Not only can large teams of qualified personnel be applied to the task at hand, accordingly turning round projects rapidly, but also the time difference can translate to further speed gains as onshore and offshore teams can work sequentially literally for 24 hours a day. The direct cost of labour is a fraction of that in the UK, giving total cost savings of 50% or more. A sophisticated outsourced typing transcription and back office service accommodating all of your needs whilst guaranteeing significant savings using outsourcing and offshoring. A service operated by professionals in the United Kingdom servicing over 600 clients daily. Our clients include Lawyers, Doctors, Accountants Property Professionals and general commercial businesses. The highest levels of quality Guaranteed. All our services are provided by qualified competent staff at very economical rates from our production centres in India and South Africa. All work is quality checked in the United Kingdom producing excellent high quality results. All the cost saving benefits of using our production centres in the lower cost environments of India and South Africa. Lower overheads in cheaper countries result in lower charges to you producing savings of up to 70% on your office overheads. Our legal transcription services incorporate the typing and transcription of routine correspondence, notes, minutes of meetings and other items regularly dictated by lawyers. We also transcribe recordings of proceedings at meetings, conferences, telephone conversations, interviews and hearings. Law firms regularly instruct UKTyping to deal with their day to day legal transcription needs or alternatively may choose to use us on a project by project basis or at times when they have staff shortages. In addition to routine typing and transcription services we are also able to offer a legal forms production service which deals with the majority of legal forms that a busy practitioner may require in England and Wales. All typing is dealt with by experienced secretaries and is quality checked before return to the client. Barristers routinely send transcription to us in connection with preparation for hearings, transcription of Pleadings and Advice to Solicitors and Clients. Barristers also ask us to transcribe the proceedings of conferences with clients and solicitors using our Verbatim service. An extensive range of legal forms is now available to UKTyping users. The fee earner or user can dictate the contents of the form. The form will be created and completed and then returned to the user together with any other transcription. This development means that users will no longer have to purchase paper forms or pay for licence fees for form generation software. Up-to-date legal forms are be available at all times. If required a directory with copies of all forms that a user is likely to use can be submitted to the user to refer to whilst dictating. We are able to copy type documents, old or historic papers, precedents from books or elsewhere. Copy typing is charged per page and instructions can be sent to us by fax or by e-mail. Our turnaround time for copy typing is usually 48 hours but should always be agreed in advance. Verbatim is one of our newest and most exciting products. We record proceedings of minutes, conferences or conversations by telephone. We then transcribe these producing an accurate record of the conversation or of the proceedings. Very accurate record of what was said and by whom. Saves professional time and cost to clients in preparing detailed and sometimes lengthy attendance notes/minutes. The detailed notes can be very useful to third parties such as barristers representing clients at hearings where they may not previously have had a chance to meet the client. This enables the barrister to assess for example the credibility of the client. Scanning and digitisation of your standard documents, office manuals and other literature to make them available on line. Precedent/Template Creation — analysing repetitive corresponde-nce, documentation and notes to create templates and forms for future use. Saves re-inventing the wheel! Historically businesses and in particularly professionals used to store papers for six years. More and more frequently files are needing to be stored for considerably longer. Mortgage related conveyancing papers are often stored for up to 25 years. Insurance documentation is often stored for up to 40 years. We provide a solution to the ever increasing challenge of storing bulky files and documentation. We are able to scan all documentation in a legally acceptable manner providing you access to the documents instantly by way of word search on a CD-ROM. The time lag between needing a file and it being obtained. Deterioration in paper quality with the passage of time. The risks of damage by flooding etc. The financial savings are considerable as one would expect.